The CBI has registered an FIR against 17 persons, including 10 employees of Sify Technologies Pvt Ltd, in connection with the leak of paper for graduate level examination of Staff Selection Commission. 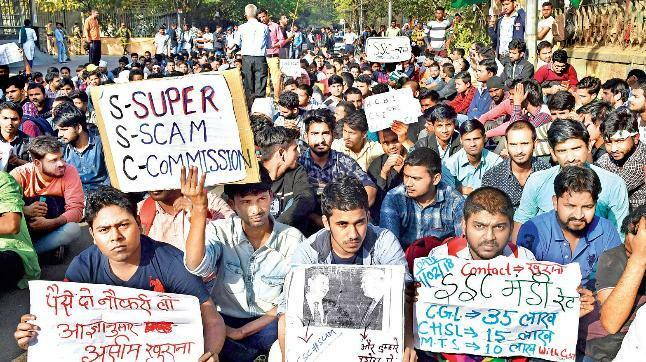 The CBI has registered a complaint against 17 persons, including 10 employees of Sify Technologies Pvt Ltd, in connection with the leak of paper for graduate level examination of Staff Selection Commission, officials said in New Delhi on Wednesday. The agency carried out searches at 12 locations, including four offices of the Sify Technologies Pvt Ltd in Chennai, Noida, Mumbai and Okhla, New Delhi besides the residence of one of its employees, Sant Prasad Gupta in the city's Sheikh Sarai area. According to the CBI, the examination papers were set in such a way that an examinee got the questions in a certain 'sequence' unique to the examination centres, which were termed as 'labs' in this case. Going by the pattern of the questions leaked, the CBI managed to locate seven students who would have received those questions in that particular pattern. These students have been named as accused and their complicity would be decided during the course of investigation which has begun now. Sant Prasad Gupta, custodian of the question bank at Sify, along with nine other employees of the company who were site managers at seven examination centres where the leaked paper had reached, have also been named in the complaint. The first level of the examination had taken place in August last year and the second level had taken place between February 17 and February 22 this year. The paper and answer key for Quantitative Ability in the Combined Graduate Level (Tier-II) Examination 2017, which had to start at 10.30 am on February 21, had surfaced on social media at 10.10 am, which shows that it would have been leaked earlier.